It is an enviable record! Four thousand, four hundred twenty-six (4,426) completed broadcasts. Count them. 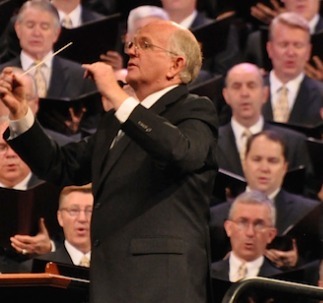 Since July 15, 1929 the Mormon Tabernacle Choir has been singing its way into the hearts of listeners in a weekly program. Its beginning was makeshift at best. A single microphone dangling over the Choir and a technician positioned on the basement stairs to cue the radio operator who then signaled the audio engineer who cued NBC headquarters in New York by telegraph.